Aaron Agius is one of the world’s leading content marketers. Co-Founder of the acclaimed digital agency, Louder Online, the agency is regularly sort out by iconic brands such as Salesforce, IBM, Coca-Cola, Ford and Silicon Valley funded startups to name just a few. For Aaron and the team at Louder Online, digital marketing must be all about results, data and intelligence to demonstrate massive ROI. He says, if you aren’t making your content work harder then you are not leveraging your digital assets. 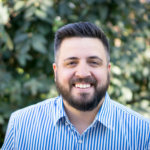 Aaron is regularly featured and quoted as a thought leader in Search Engine Journal, The Huffington Post, Entrepreneur, Inc, and Fox News to name just a few. Since its founding in 2008, Louder Online has attracted some of the biggest names in web marketing to its team. We know what it takes to succeed online – and we will show you how to do the same. Send us an email to set up a confidential evaluation of your needs. We’ll share our tips in that call. No obligation. We cover everything from technical SEO, analytics, content strategies, content development and distribution, PPC and link development work. We have more than 8 years of experience developing and implementing SEO strategies for Fortune 100 companies. We have developed and executed digital marketing strategies for brands in North America, Europe and Asia. Working with Aaron and his team is an exceptional experience. They know their stuff. Louder Online worked with us to develop our content and then taught us how to gain massive traction and, leads I might add, by working smarter not harder. Gone are the days of having whole teams writing content for contents sake. Think results and call Louder Online. You won't be disappointed with the results. 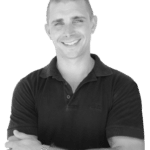 When it comes online marketing and business growth, my involvement with Aaron has been awesome, the guy really knows his stuff and has been a reliable part of my team. I hired Aaron to undertake an SEO project for one of our colleges and was impressed with the professionalism and the amount of thought and eventual output from the project. Aaron did more than what was asked, thus providing great value for money and illustrated his integrity when providing recommendations for the future so our organisation can continue to get the best possible results. Aaron demonstrated a thorough knowledge and understanding of all aspects of SEO and is a true expert in this field. The company learnt a great deal from undertaking this project and I'm sure will reap the rewards in the months/years to come. Contact Louder Online – Aaron Agius directly!